Traditional Irish colcannon is a dish of buttery potatoes mixed with sauteed buttery cabbage. So, Irish buttery comfort food. This? 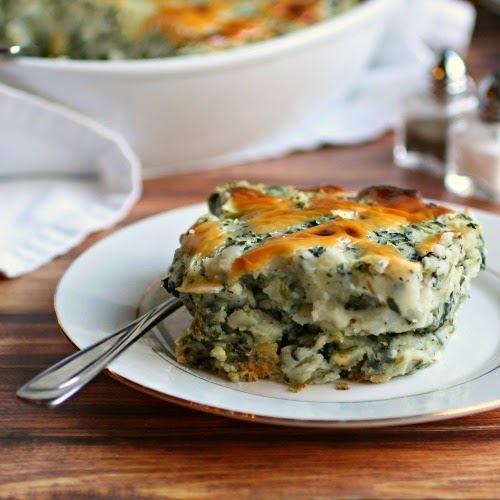 Well, this is not exactly that but it's still buttery and comforting and a tasty twist. I've seen colcannon made with kale or even spinach instead of the cabbage but I took it a step or two further from tradition but no further from delicious. 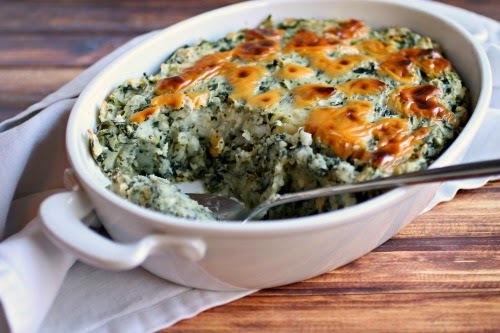 My inspiration actually came from creamed spinach. Since I frequently toss some cooked spinach into my mashed potatoes anyway, I knew I'd make a spinach colcannon. 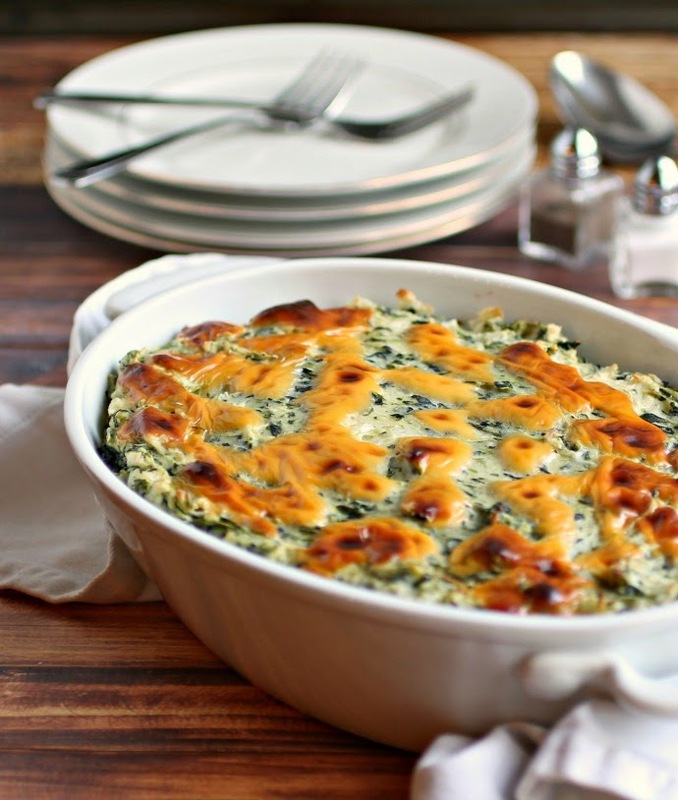 But homemade creamed spinach in bechamel is so good albeit more French than Irish. So I think we have to suspend with any tradition altogether and just go with awesome side dish. Enjoy! Melt the butter in a large pan and add the garlic. Saute for one minute on medium heat, then whisk in the flour until it's absorbed all the fat. Whisk in the milk and continue stirring for a few minutes until the mixture thickens. Set aside to cool while you cook the potatoes. Add the peeled and quartered potatoes to a large pot of boiling salted water. Cook for approximately 15 minutes or until the potatoes are fork tender. Mash with a couple of tablespoons of the thickened sauce. Whisk the egg into the slightly cooled sauce and stir in the spinach. 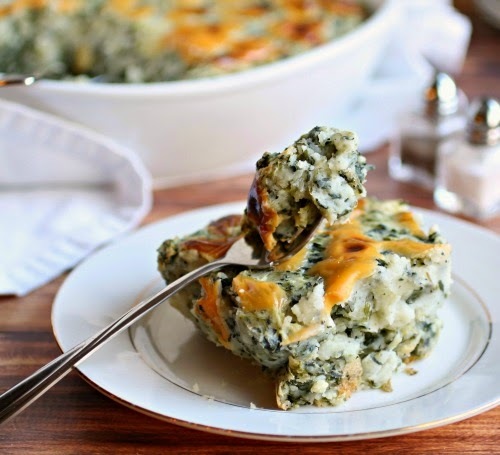 Fold the spinach mixture into the mashed potatoes and season to taste. Spoon into a buttered baking dish (approx. 10"), top with the cheddar cheese and bake for 20 - 30 minutes until the cheese has melted and is a light golden brown. Loved the radishes and salad - looking forward to the potatoes and Brussels sprouts! Thanks for the tour today!! !